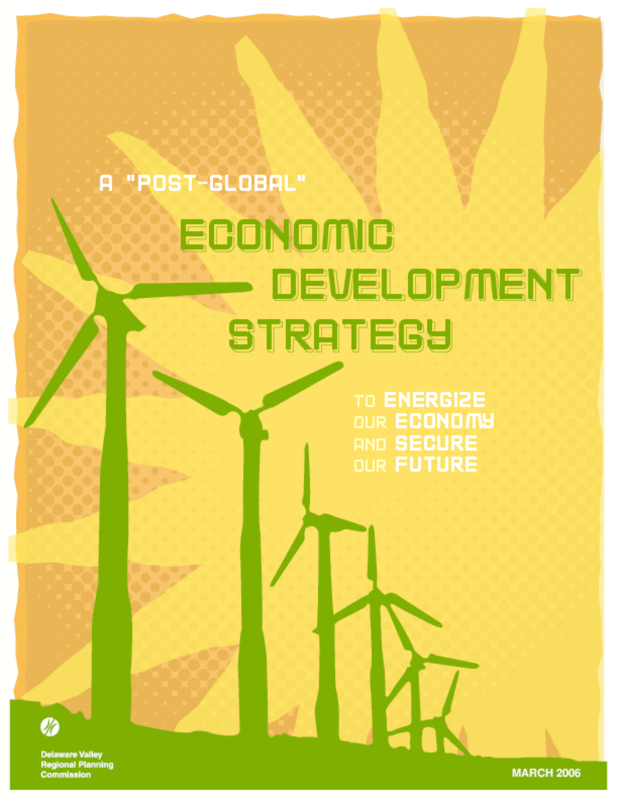 The development of the US economy has been fundamentally shaped by the availability of abundant, low-cost energy. There is growing consensus, however, that a major change in the global energy regime will impact the economy shortly. The question is not if, but rather how soon and how much. Efforts will be needed to create alternative energy sources, to increase energy efficiency, and to redesign major urban systems. Economic globalization may also be radically redirected as a new 'post-global' paradigm emerges which includes elements of both globalization and localization. To harness the economic potential of these changes, this report recommends that economic development entities in the Delaware Valley begin retooling their efforts. As part of a comprehensive economic development strategy for the region, this report also recommends making smarter transportation investments, coupling these investments with more sustainable land-use patterns, fostering clusters in emerging eco-industries, and maximizing the value of these initiatives by eco-branding the region as a sustainability center.